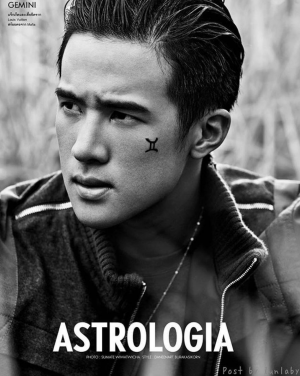 Personality: James Ma is a very focused man, quiet, independent, playful, has a nice kind heart, kind of child-like, and cool. Speaks: Cantonese, English, and Thai. Type of Girl: A woman with potential and is smart, someone he knows very well and can make him happy. Enjoys: Playing with kids, singing, Harry Potter, and Lord of the Rings. 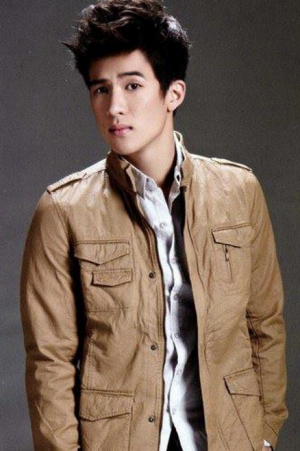 James Ma was born in Thailand, his mother is from Hong Kong and his father is Thai of Chinese descent. His father has an import-export business and an real estate company. His mother has an auction company. Before James Ma entered Ch3, he was modelling for photo-shoots. Since James always had a passion for singing, he then entered a singing contest back in 2008, but he lost the contest. Then in late 2011, James Ma was discovered by Ae, his manager. James then started his acting career. He shot to stardom after capturing everyone's hearts as P'Haym in Ka Badin and gaining even more popularity as Doctor Sattawat in Piang Chai Kon Nee Mai Chai Poo Wised. James now has one of the most diverse acting profiles of all the Channel 3's leading actors. From working with different actresses and different productions. From Metha Mahaniyom, TV Scene, Thong Entertainment, Good Feeling, and No Problem. 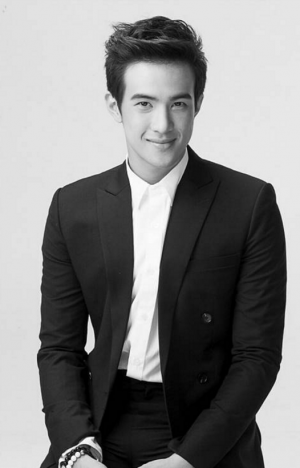 James Ma is described as a quiet, calm man, he is one of the biggest hottest actors for Channel 3. He surprised everyone with his acting skills in his debut lakorn, Supaburoot Jutathep. 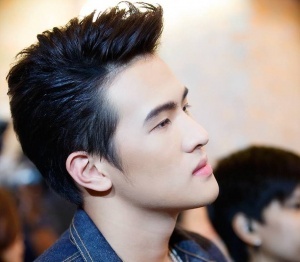 After the series he became a presenter for many products, he became one of the top presenters in Thailand. After the series he has been receiving many offers, he plans to finish his studies, which limits his time to film one drama at a time. He knows three languages: Cantonese, English, and, Thai. James Ma first attended NIST (New International School of Thailand), and at the age of 8, his family moved to Hong Kong and he resumed studying in Quarry Bay International School of Hong Kong. He then excelled 2 years past his usual studying year group and attended South Island School Hong Kong. He returned to Thailand at the age of 16. Later, he met Ae Supachai Srivijit, who then became his manager in the entertainment business and James came back to Thailand to study in Harrow International School, Bangkok. 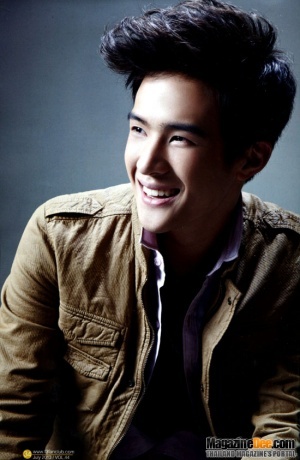 He is currently working as an actor and model for a popular Thai television channel, ThaiTV3 or Ch3. Before James decided to be an actor, he thought about being a pro golfer. James won a gold metal in the ISSFHK Golf Pairs Championship 2008 in Hong Kong and many other awards against other schools. James Ma is well known for his passion towards cats. In Hong Kong, he has a British Shorthair named Mocha. In Thailand, he has 2 ginger cats, Jammy and Zon Zon. He says his role model is his father, who taught him to be a true man, dedicated, and hard-working. James, along with Nadech Kugimiya, Mario Muarer, Ken Phupoom Phongpanu, and Weir Sukollawat Kanarot were part of the Give Me Five Concert, since they are all under the same manager. James's guests at the concert were famous singers Tata Young and Boy Peacemaker. James like to play sports and eat. He likes people who have ideas. Many people view him as a quiet and private person but he says, "Actually I'm not a quiet person. I just say what I should say, even if I say it in a few words." He says he not a womanizer, he believes in destiny and fate, which is why is he strongly believes in love at first sight. James does not use any type of social media except Facebook once in a while to talk to his fans. James lived in Hong Kong since he was 8 and came back to Thailand when he was 16. James does not have any Koo Jin although he is one of the popular actors in Thailand. 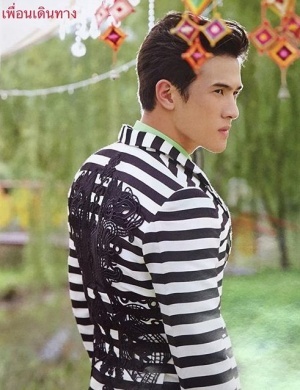 James played the character Por Haym in his second lakorn which gained him recognition. James gained a huge, dedicated fan following for playing the character Mor Sattawat in Piang Chai Kon Nee Mai Chai Poo Wised. His chemistry with Kimberly Ann Voltemas was loved in Thailand which led to other projects they have been doing together. James is a huge fan of Kimberly Ann Voltemas, he was very happy when he got to know that he was working with her in Piang Chai Kon Nee Mai Chai Poo Wised, as he liked her from her first lakorn Thara Himalaya, where she played the character Mor Nam. James was very very shy around Kim in the beginning, later he got along with her very well. He said "well I was impressed with her from her first lakorn Thara Himalaya because I feel that she's very beautiful and I have not really seen an actress who has international or western feel, so I like her. When I met her in person, from the first day till now, she is the same person. She's very friendly and straightforward. Good point in her is that she's a good friend. We discuss about anything"
He is a huge fan of Nadech Kugimiya and Urassaya Sperbund, who are now his close friends. James thought about being a pro-golfer before being an actor. James has never been seen with his family, but he describes his parents as good and understanding people. James was harshly critized before the SJ series aired, many said he lacked the looks and talent, but he proved to everyone his talent when his lakorn aired. Many praised him for his nice personality and great acting skills. Since then, many different productions have been wanting him, especially Anne Thongprasom, who casted him in her next produced lakorn, Piang Chai Kon Nee Mai Chai Poo Wised. Kimberly Ann Voltemas has wanted to work with James since their event together in 2013, she praised him for his nice manners and for taking care of her, she told his manager she wants to act with him one day and her dream will come true since she is finally working with him in Piang Chai Kon Nee Mai Chai Poo Wised. James so far has worked with more than 5 different productions. James has a growing fanbase. His fans are always supportive and adore his personality and charm. Many producers, actors, directors all adore James for putting in his all effort for his lakorns. He is diligent and respects the elders. When James was rumoured to play a supporting actor role for a book, the author of the book came out and said she doesn't want James to be a supporting role for her novel since she is a fan of his. Nadech Kugimiya and Urassaya Sperbund praise James and say he's a nice guy and his very mature for his age. Mint Chalida Wijitwongtong praises James for doing a good job for his first lakorn, they are good friends and Mint's mother adores James, always liking his pictures or commenting on IG that she misses him. For the first episode of Ka Badin, many ET figures, such as Anne Thongprasom, best friend Nadech Kugimiya, Nadech's mother, James co-star from KCR Jack Methus, etc. supported James' second lakorn. At James' recent event, he was asked which co-star he enjoys working with and he chose Matt Peeranee and Kimberley. He explains that he learned a lot from working with them. James is the first and only actor to have paired up with all female leads in the 4 Huajai Haeng Koon Kao series. His Guests Were Tata Young and Boy Peacemaker. This page was last modified on 7 April 2019, at 08:38.